Posted on October 5, 2018 at 5:59 am. We begin today with WOLF PACK PRIDE! Williamsburg athletics is on a roll! First up — the WMS Tennis Team absolutely DOMINATED Jefferson Middle School yesterday — winning EVERY SINGLE MATCH on the schedule. Special shout-out to Jayleigh and Jacklynka in singles; and Eleni and Sujee, Tyler and Chase, and Nick and Clayton in doubles for some truly sensational matches. It was an amazing, all-around team effort. Way to go, tennis wolves!! [clap]. Next up — the tennis team takes on Swanson Middle School on TUESDAY. Let’s make it THREE in-a-row! Calling all siblings, twins, and triplets! The WMS Yearbook is featuring a special SIBLING section in this year’s publication. If you’d like to be included, all WMS siblings are invited to get their pictures taken TODAY during WOLF TIME in room 137. Again, if you and your sister or brother would like to be in this special yearbook section, please go to room 137 immediately following the Morning Announcements. Say CHEESE! The Best Buddies Club is having its first meeting TODAY during WOLF TIME in room 108. This inspirational club is your chance to really make a difference in our school — and with our amazing kids. All students who received a PASS to the event are reminded to go to Ms. Rogers room — number 108 — immediately following the Morning Announcements. Thanks, Buddy!! Attention all bi-lingual 7th and 8th graders! If you know how to read and write in any language other than English, you should take the “Credit by Exam.” It’s an easy way to earn up to FOUR high school credits. The test is scheduled for November 6th at Wakefield High School — but TODAY is your last chance to register. So don’t delay! See your grade-level counselor or a HILT teacher for more information, or to sign-up. Would YOU like to go to college some day? Then you’ve got to start planning NOW! The WMS “College Bound Group” will be hosting its first meeting next TUESDAY during ASP 1 in room 203. Take your first step towards a higher education — and have some FUN while you’re getting there. See Ms. Cameron for more information or with any questions. Grab your frisbees, gentlemen! The start of the Boys Ultimate Frisbee Team is just two weeks away — beginning October 15th. Interested “spinners” are encouraged to sign-up on the activities board by the cafeteria. Whether you’re an old-pro or a first-timer — ALL are welcome! See Mr. Smolinski with any questions. Once again, it’s time for “Champions of Change” — where this month we’re highlighting important figures from the Hispanic-Latino community who helped to shape the world we live in. Pay close attention — because next week these Champions will be the focus of a Trivia Contest at your grade-level lunch. Here we go! Today’s Champion is ready to ROCK! 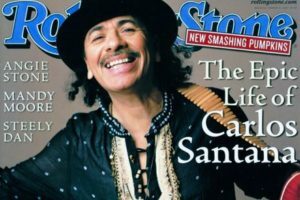 Meet Carlos Santana — one of the most celebrated musicians of all time! 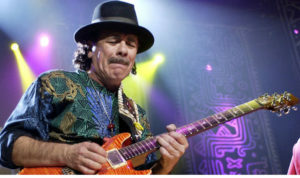 Born in Mexico in 1947, Santana started out as a classical violinist before switching to the guitar — and he never looked back. 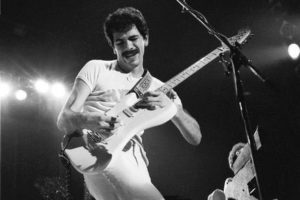 He developed his own unique sound — blending Blues, Rock, Jazz, and Latin Folk music — and quickly gained world-wide fame. 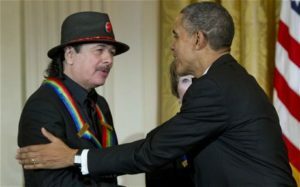 Santana has won 8 Grammy Awards, 3 Latin Grammy’s, and his band — also named Santana — was inducted into the Rock-n-Roll Hall of Fame in 1998, and received the Kennedy Center Honors in 2013. His legendary career has spanned over 50 years, and he continues to inspire new generations of musicians today. His efforts truly make him a CHAMPION OF CHANGE! !